Submitted by lynn on Tuesday, September 20, 2016 - 11:43pm. San Diego Reader has been keeping us busy this summer! 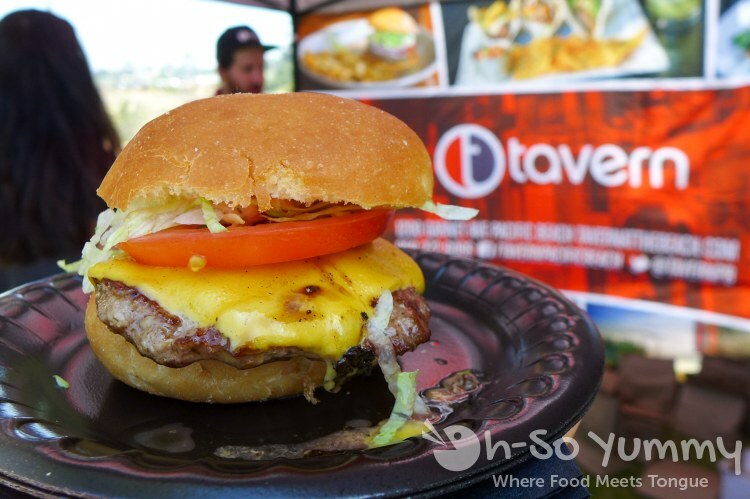 We've already attended Tacotopia (Golden Hill Park) and Tacotopia at the Track (DMTC) and now there was another... BURGERS and BEER! I was down. Apparently so was this girl I spotted with BURGER SOCKS on!!! That's genius! Dennis was busy that day so I invited foodie friend HeadCinema as my plus one. 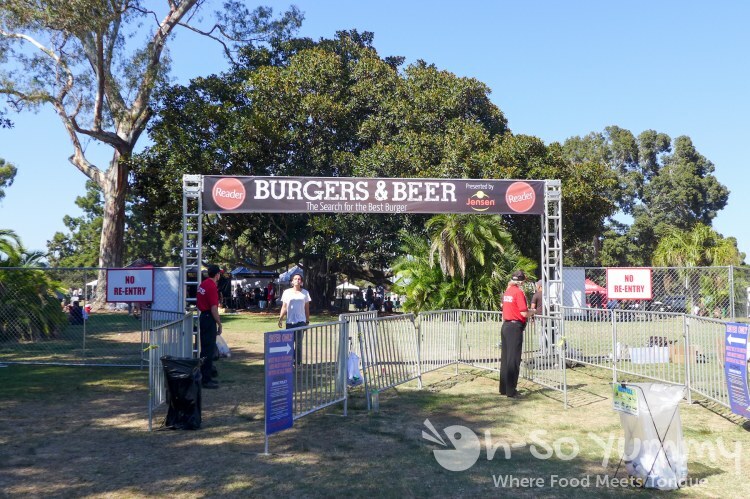 The first annual Burgers and Beer event was held at Golden Hill Park and we entered through these gates. Similar to Tacotopia at the Track, we were allowed to go in an hour early for MEDIA hour from 11-12. Unfortunately I had some work to do beforehand so only made it about 10-15 minutes early but friend did get a head start! 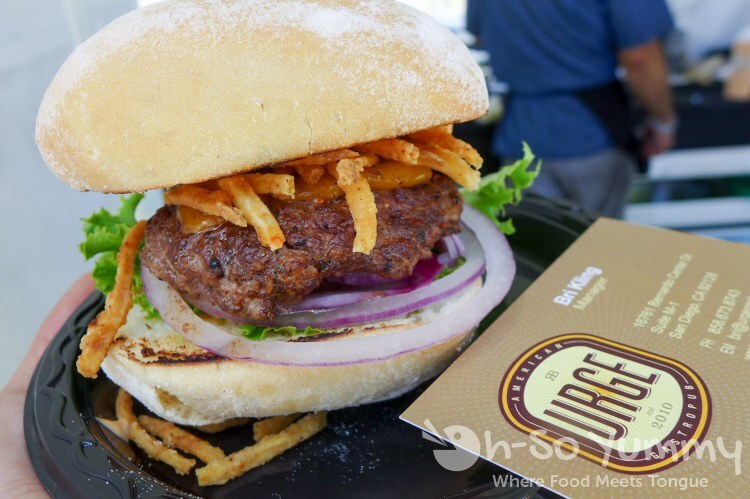 The ultimate goal was to sample burgers from the participating vendors and vote for Most Traditional and Most Innovative burger! A voting bucket similar to the one pictured was available at each food station. 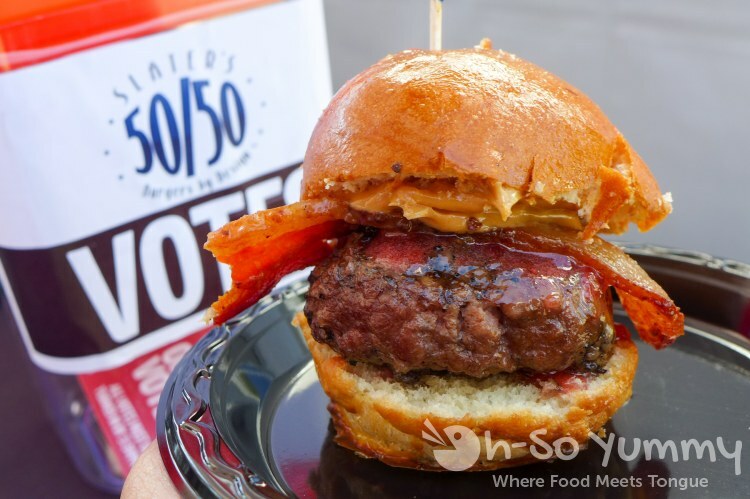 Slater's 50/50 served their outrageous yet sensibly paired peanut butter and jelly burger! 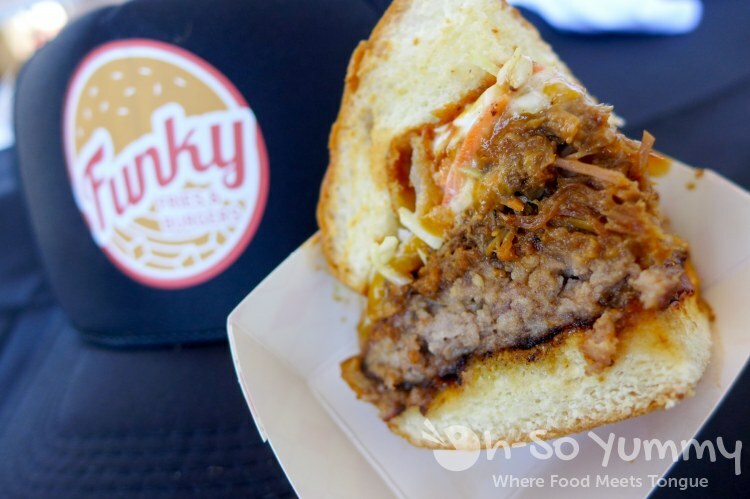 Can you see that sticky delicious mess under the bun? 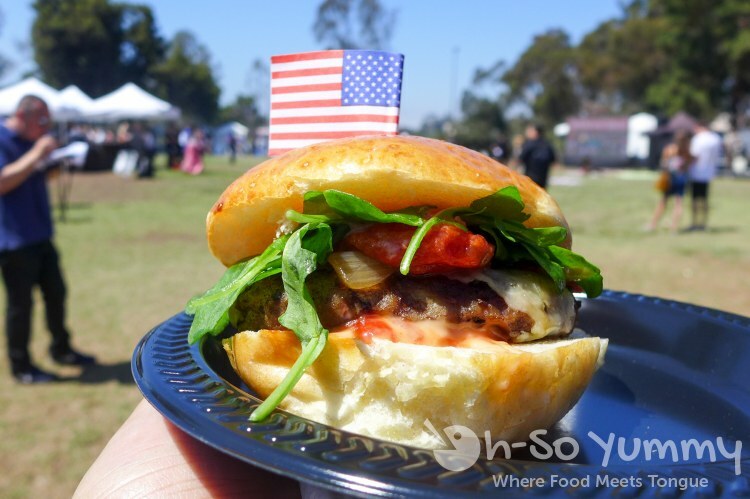 I like that they had a patriotic flag to go with their burger. 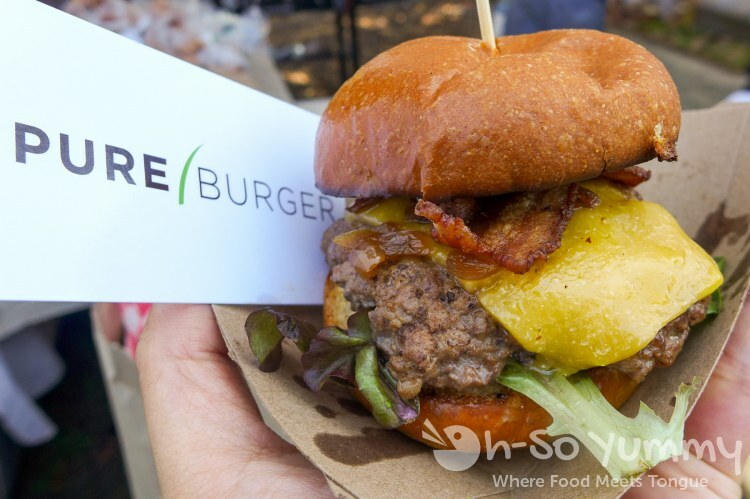 I happily ate Pure Burger which had a nice sear to their burger patties. Nearby was Bub's, which has a location in downtown (Bub's at the Ballpark) and in PB (Bub's at the Beach). The burgers I've tasted there are always juicy and this one was no exception. The chipotle aioli made this one great! 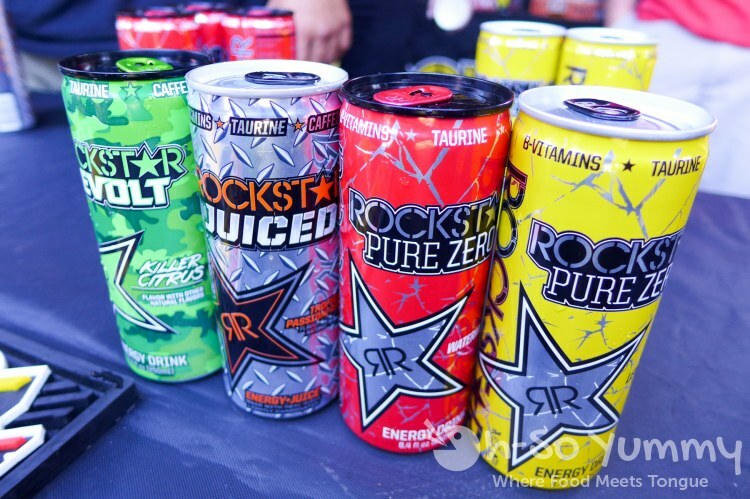 We also got to sample some new flavors of Rockstar, my favorite being the watermelon in the red can. I think this drink helped me make it through the whole event! 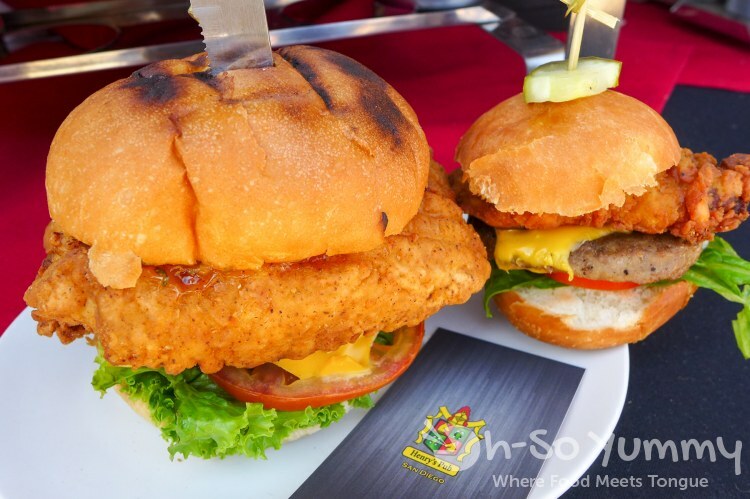 I was really excited to see that Henry's Pub was showing off their cluckmoo in a slider form! See pic for size comparison of full size vs mini! Too bad the execution of the mini wasn't up to par... I recommend going to the restaurant directly! 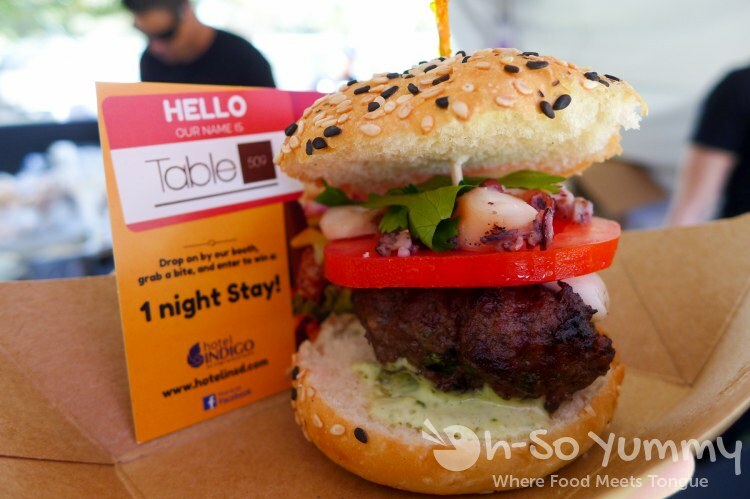 A unique take on burgers was provided with the addition of octopus by Table 509 (in Hotel Indigo). 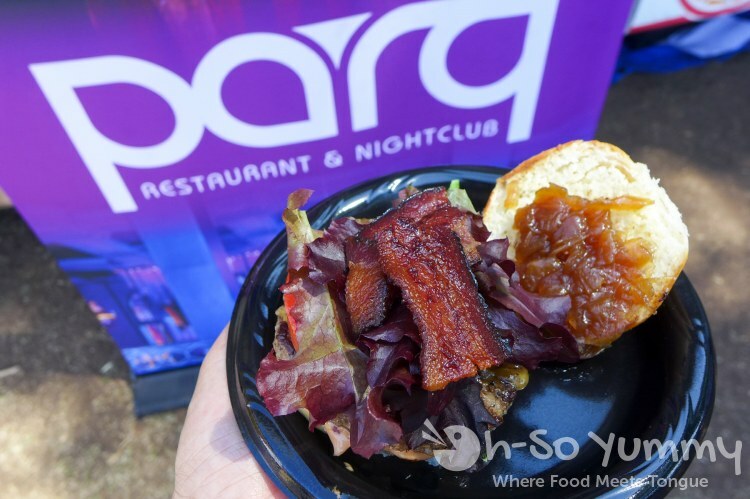 I was also smitten by the sesame seed bun in combination with the rest of the fresh ingredients! 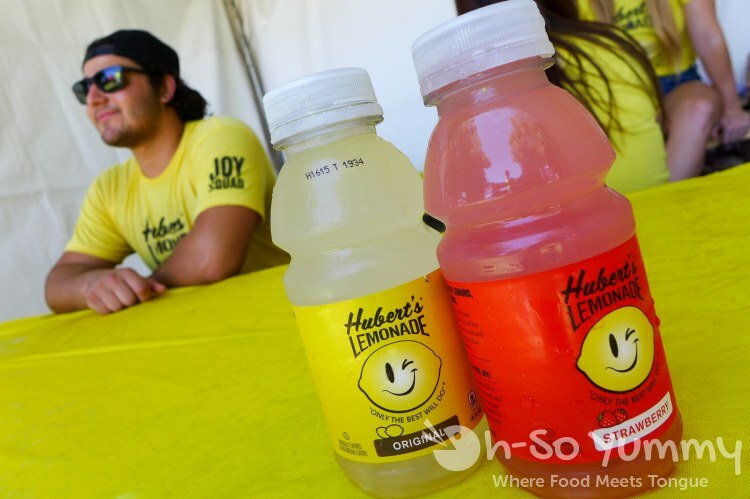 Hubert's Lemonade is a bit on the sour side but this pic was too cool not to post! Check out the rep chilling in the background! 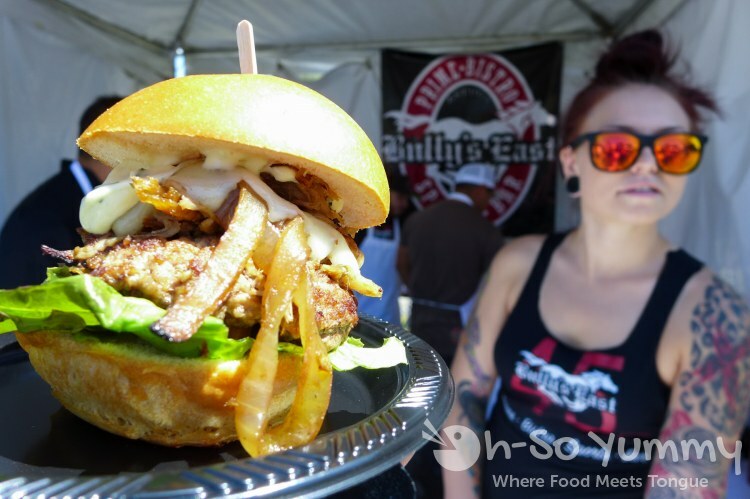 I must like shades because this picture also caught my eye, despite the burger being overexposed from the sunlight! 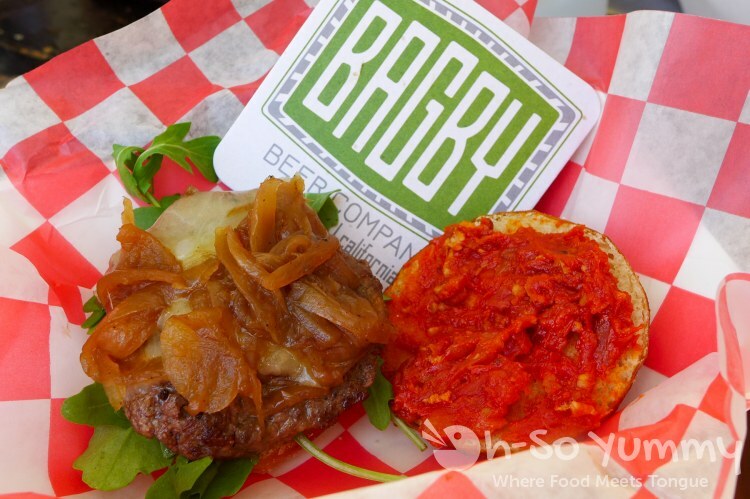 Bully's East had some long caramelized onions with that patty and bun! 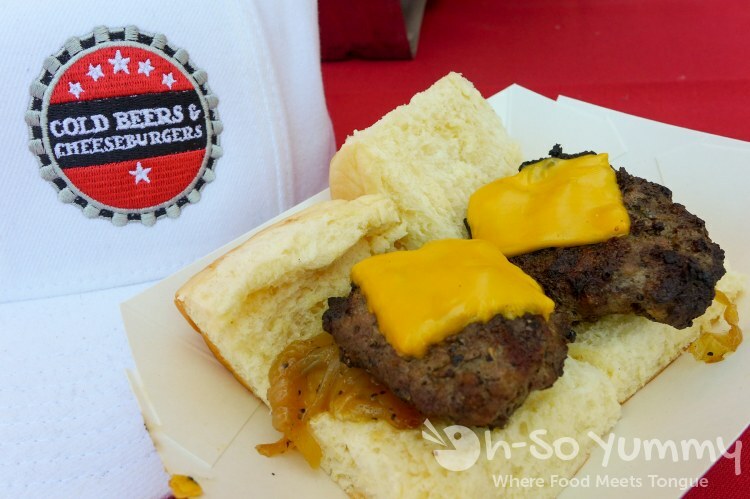 Throughout the event, I probably tried 25+ burgers... 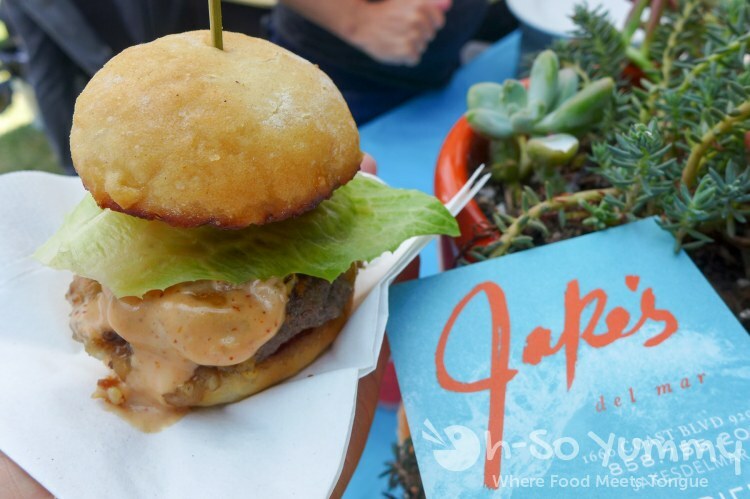 This made my efforts for San Diego Burger Week pale in comparison. The rest of the pics are shown in the gallery below! HeadCinema also took very nice pics on his Instagram. 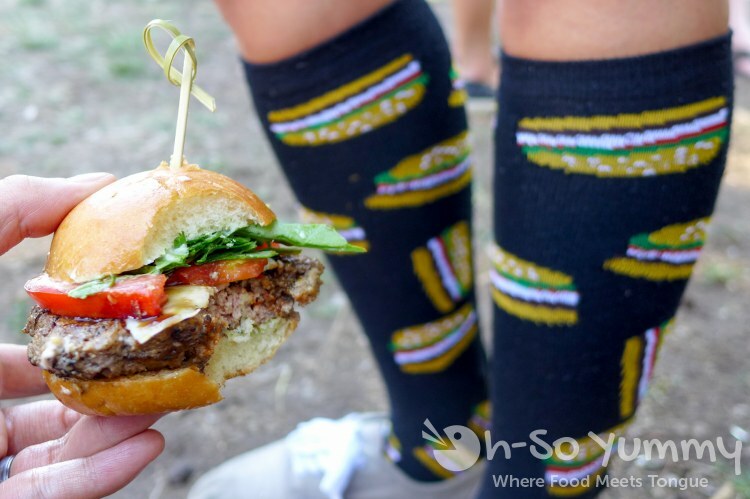 Join us in our search to find the best burger at the 1st Annual Reader Burgers & Beer at Golden Hill Park on Saturday, September 10th, 2016. 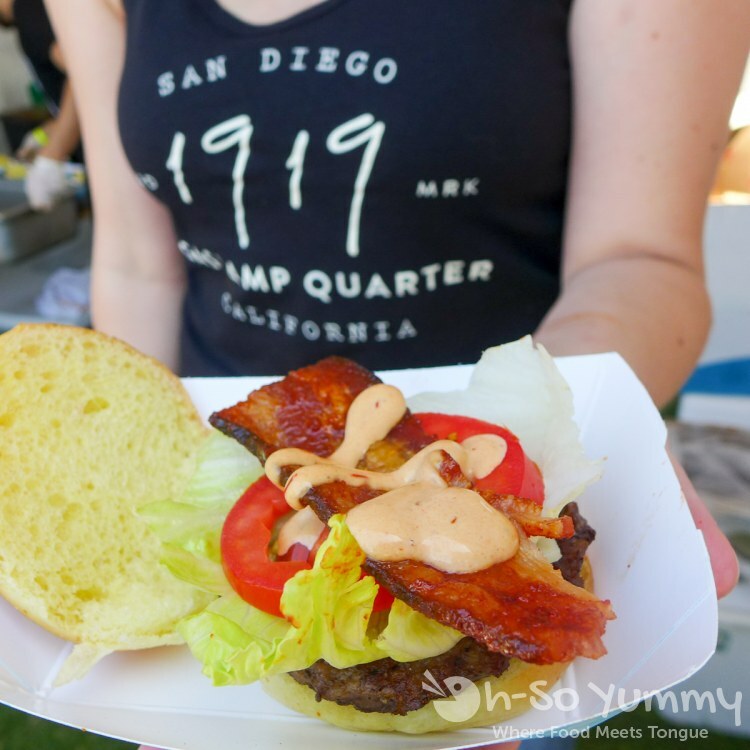 Try gourmet burgers from more than 30 of the best restaurants as they compete to win the "Best Burger" award. 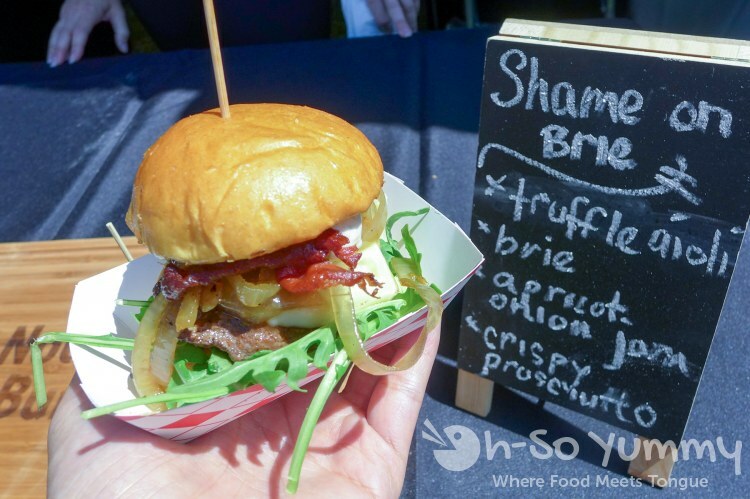 Curated exclusively by our food writers, this event brings together the very best burger vendors — and you decide who will ultimately win. Each attendee will be given a token to place in a voting box on the table of their favorite vendor. The vendor who receives the most tokens wins. General Admission: 21+ only. Valid from 1PM-4PM. 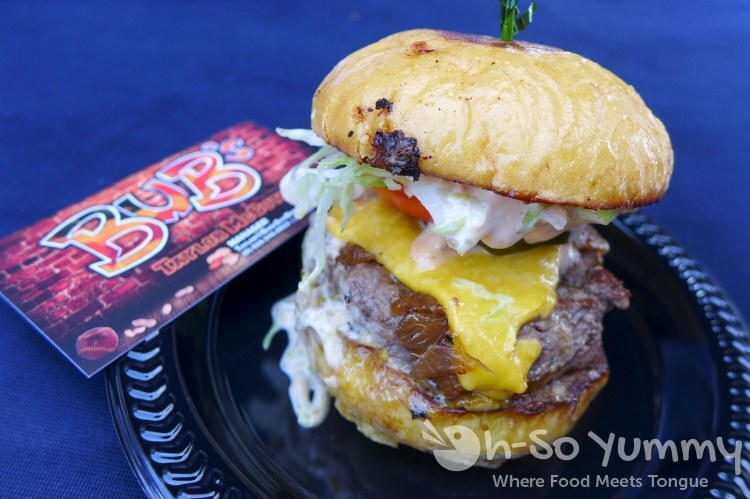 Includes unlimited burger tastes from all vendors (while supplies last) and 1 drink ticket (good for a beer or beverage of your choice). Discounted pre-sale tickets available for a limited time. Tickets will be $55 at the door, if tickets are not sold out prior to the event day. VIP Ticket: 21+ only. Valid from 12PM-4PM (early admittance). 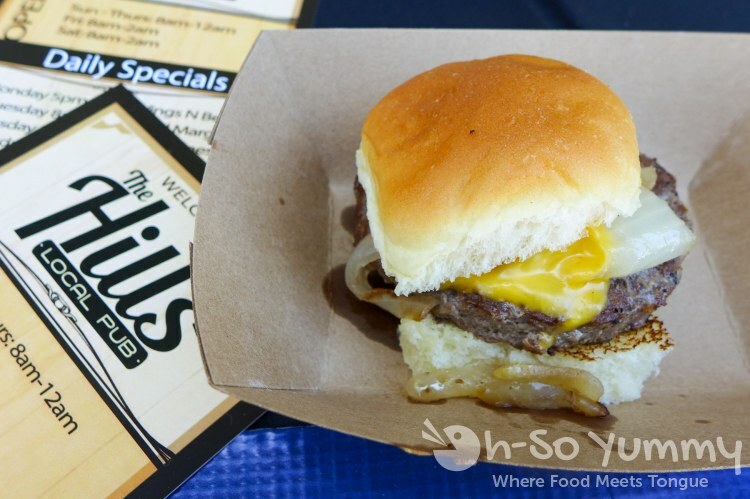 Includes unlimited burger tastes from all vendors (while supplies last), 3 drink tickets (good for beer or beverage of your choice), and early entry to the event. Discounted pre-sale tickets available for a limited time. Tickets will be $70 at the door, if tickets are not sold out prior to the event day. Disclaimer: We were provided complimentary tickets for this event. We were not otherwise compensated and all opinions stated are our own. I can't believe I missed this! I also cant believe we haven't been to Slaters yet. That needs to be rectified! 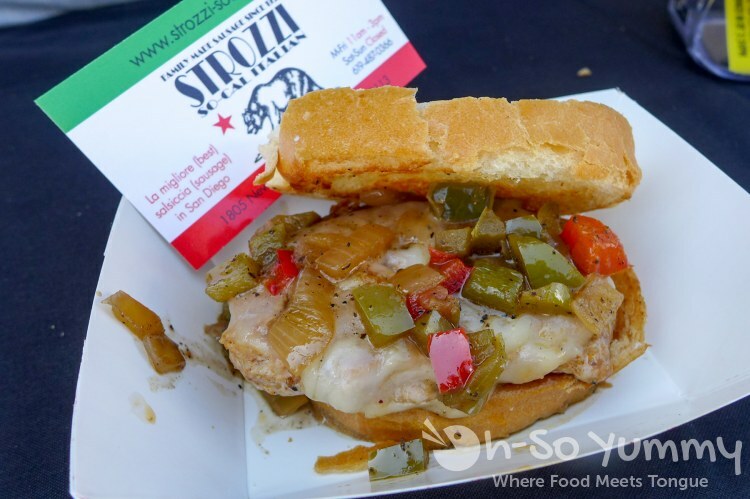 this event would have thrown your diet off the deep end! slaters is not on the top of my burger list but their pb&j burger is actually quite tasty, in mini doses!